The National Park Service - Glacier National Park has to go back to the well for more money. In a year of record setting visitation the leadership at one of the best value parks - and arguably the most beautiful in America - decided is time to get more money for YOU, it's visitors (thank you congress for striping park budgets all these years). Parks need more money. I believe in paying my way but asking for these kind of hikes will result in fewer visitors and more conflict overall. What the park may gain in additional revenue they'll pay for in negative externalities. Park officials claim they're raising rates to keep up with the other parks - nice one guys! I do think Glacier National Park needs a good, solid budget, but we're talking about raising possibly $500,000 in additional revenue, which is really petty cash and I think will only help them spend more money on mostly frivolous stuff and simply avoid the real, visible issues that it's users want changed - like the road system? I hope I'm wrong. I hope they rebuild the Many Glacier Road, put new tires on the aging trucks, and keep buying more cool gear, and vehicles. More visitors will help Glacier National Park spend more money! Photographers photographing a fly-fishing model in two medicine lake during a photography workshop. I was "lucky" enough to encounter them on a trip up two medicine last year. The fact is, the more rules the parks make, the more man power they need. Over time, they've actually seen a reduction in budgets, yet they keep making more work for themselves . . . Ug. . . typical government bureaucracy. (Details of this are in a forthcoming post). I'll pay to play because I live here, but the truth is, I dont like the fact that our Nation is skipping out on paying for the management of one of it's true treasures. I suspect Teddy Roosevelt would have figured out a way to take the money from the banksters and put it toward building and maintaining our America Hermitage and legacy. . . Here's the actual press release asking you for your comments on fee hikes (you'll be amazed, we're not talking about a few bucks, they are proposing to hack you hard)! Or, maybe the tactic was, "go-high," settle for a little less so it looks like we really care about you. Sorry for the cynicism, but I've earned the right to be cynical . . . I know there are better ways to pay for the management of our national treasures. I also don't like that the NPS can just go get more money from it's visitors when they feel like it. I'll tell them NO, no increases at all - forget it! WEST GLACIER, MT. –Glacier National Park is requesting public comment on a proposal to increase the park’s entrance fees for the first time in nine years, implement a motorized boat launch fee, and increase the camping fee at the Many Glacier Campground. May 1-October 31, and winter fees are charged November 1-April 30 of each year. The annual park pass would change from $35 to $60. This pass allows for unlimited access to the park for one year from first time of use. The proposed fees are consistent with other larger national parks. If approved, all changes in entrance fees at Glacier National Park would be implemented in May, 2015. The last time park entrance fees at Glacier National Park were increased was in 2006. Prior to that, the summer vehicle fee was $20 and the annual park pass was $30. The proposal does not affect other passes with the America the Beautiful- The National Parks and Federal Recreational Lands Pass Program, including the $80 interagency and $10 senior passes, and the free access or military passes. A new boat launch fee is being proposed that will support managing the boat launch facilities in the park. The fee would be for all motorized boats that access park waters. The proposed fee is $10 for a 7-day permit or $40 for an annual permit. Revenue would help with boater education, monitoring, and improvements to boat launch facilities. If approved, it is anticipated this fee would be implemented in May, 2015. Boat inspections for aquatic invasive species (AIS) would still be required. The park proposal also includes increasing the camping fee at the Many Glacier Campground from $20 to $23, and utilizing the federal reservation system for approximately half of the camp sites. The remaining sites not included on the reservation system would be first-come first-serve. This fee change would be consistent with the other reservation campgrounds in the park, Fish Creek and St. Mary Campgrounds. If approved, this fee and the reservation system would begin summer of 2016. Another fee change would be for group campsites in the park. The proposed fee is $65 per group reservation site and $60 for first-come first-serve group sites. The current fee structure is $53 per site for the first nine individuals and $5 for each additional person for a reserved site, and $50 for a first-come first-serve group site. Group camping sites are located at St. Mary, Apgar, Many Glacier and Two Medicine. Some are available by reservation and some are first-come first-serve. If approved the proposed fee change would begin May, 2015. It is anticipated that the proposed fee changes could potentially generate approximately an additional $500,000 annually for Glacier National Park, depending on the number and type of entrance passes and camping permits sold. The funds generated by fees would be used for projects that enhance visitor services and facilities, including interpretive programs at campgrounds, the backcountry campsite reservation program, repair and restoration of trails, restoration of wildlife habitat, improvement and replacement of restroom facilities, preservation and maintenance of roads, and shuttle bus operation and maintenance. Glacier National Park is an economic driver in the state of Montana and surrounding region. 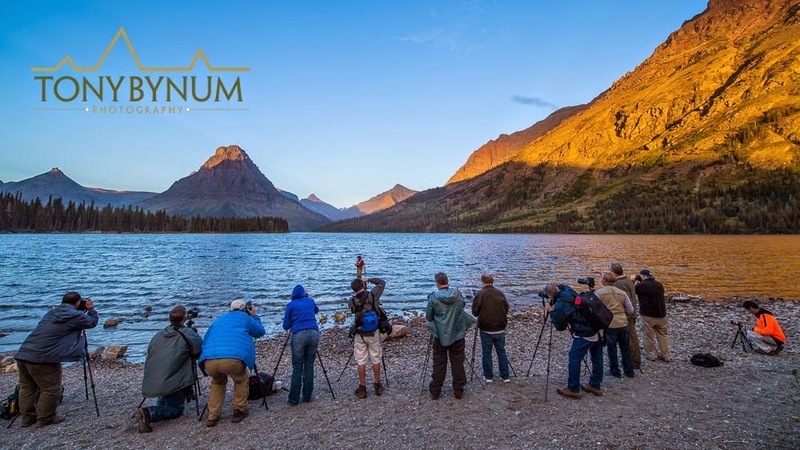 A National Park Service report shows that approximately 2.2 million visitors to Glacier National Park in 2013 spent $179 million in communities near the park supporting 2,824 jobs in the local area. Public feedback on the proposed fee changes should be submitted to the park by December 19, 2014. Comments can be emailed by visiting http://parkplanning.nps.gov/GlacierNationalParkFeeIncrease or written comments may be mailed to Superintendent, Glacier National Park, Attn: Fee Proposal, P.O. Box 128, West Glacier, Montana 59936. Following receipt and analysis of public feedback, a decision will be made on fee changes and timing of implementation. For more information, contact the park at 406-888-7800. Note- Please see chart for quick overview.